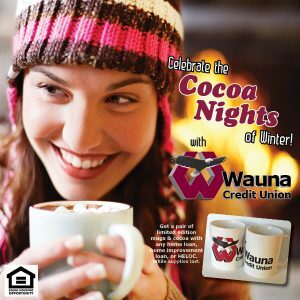 Shop with a Wauna Credit Union Rewards VISA Credit Card to earn double rewards points during December. Earn triple rewards points December 24th! *VISA Rewards Credit Cardholders will earn double rewards points for purchases during November and December 2017. They earn triple rewards points for purchases conducted November 23 through 27 and December 24, 2017. Rewards points are not transferable. Complete promotion details available at waunafcu.org. 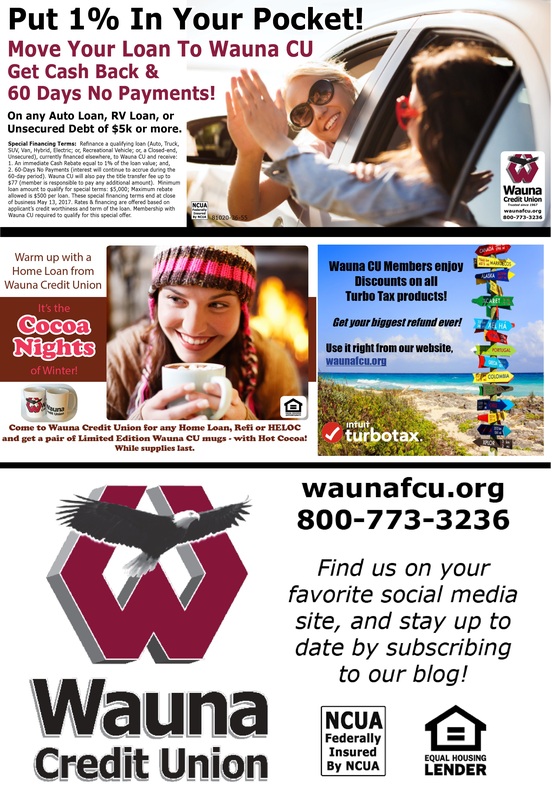 Membership with Wauna Credit Union is requred. This special offer ends December, 31, 2017. Need a Quick Holiday Loan? Apply online 24 hours a day 7 days a week. VISA Checkout: Add convenience and help ensure secure online transactions! 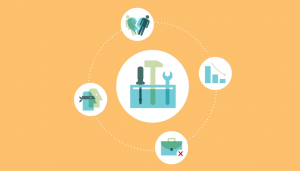 VISA 3-D Secure: Get your online purchases authenticated automatically! Mobile Wallet: Make your phone your wallet! No More lost cards! Card Valet: A free app for security. Alerts you every time your card is used. Turn your card off and on. Set spending limits. Plus, we now offer VISA Account Updater, so when you get a new card all of your autopays update. Put 1% In Your Pocket! Get Cash Back & 60 Days No Payments! On any Auto Loan, RV Loan, or Unsecured Debt of $5k or more. Special Financing Terms: Refinance a qualifying loan (Auto, Truck, SUV, Van, Hybrid, Electric; or, Recreational Vehicle; or, a Closed-end, Unsecured), currently financed elsewhere, to Wauna CU and receive: 1. An immediate Cash Rebate equal to 1% of the loan value; and, 2. 60-Days No Payments (interest will continue to accrue during the 60-day period). Wauna CU will also pay the title transfer fee up to $77 (member is responsible to pay any additional amount). Minimum loan amount to qualify for special terms: $5,000; Maximum rebate allowed is $500 per loan. These special financing terms end at close of business May 13, 2017. Rates & financing are offered based on applicant’s credit worthiness and term of the loan. Membership with Wauna CU required to qualify for this special offer. It’s the Cocoa Nights of Winter! 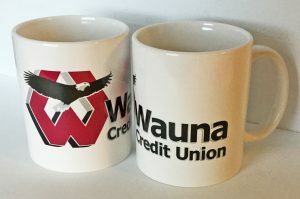 Come to Wauna Credit Union for any Home Loan, Refi, or HELOC, and get a pair of Limited Edition Wauna CU mugs – with Hot Cocoa! While supplies last. Wauna CU Members enjoy Discounts on all TurboTax products! 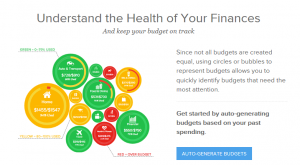 Get your biggest refund ever! Find us on your favorite social media site, and stay up to date by subscribing to our blog!